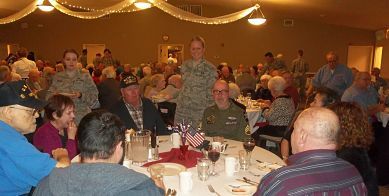 More and more people are discovering the good things about holding their special events at the Southside Senior and Community Center. Our elegant facility is the perfect setting for weddings, receptions, corporate events, class reunions, fundraising events, workshops, meetings and parties of all kinds. We offer everything from small meeting rooms to a large ballroom. You also have access to a modern, full-service kitchen. In addition, our building features a portico entrance for easy access, an outdoor patio, wheelchair accessibility, accessible bathroom facilities, wireless Internet, easy freeway access, and if children are included in your event, there's next door access to Thornton Murphy Park. If you have been a member of the Center for nine months prior to your event, you will receive a 15 percent rental discount.